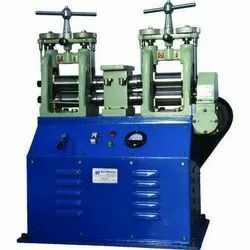 Manufacturer of a wide range of products which include 8x4 goldsmith single head rolling machines, goldsmith machine and mini gold smith sheet rolling machine. We offer 8x4 Goldsmith Single Head Rolling Machines. The offered machines are designed precisely with the application of sophisticated technology and deliver unsurpassable performance. These machines are compact in size and can be installed with utmost ease. We are among the pioneers in the industry, manufacturing Goldsmith Machine to our esteemed customers. These machines are designed precisely and deliver optimal performance. Optimum quality materials and sophisticated technology are incorporated in the manufacture of these machines. Offered machinery is reasonably priced. We are among the preeminent names in the industry, engaged in offering Mini Gold Smith Sheet Rolling Machine to our valuable customers. 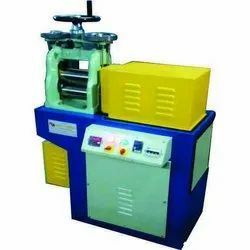 The offered machines are designed meticulously to provide optimal performance to the customers. 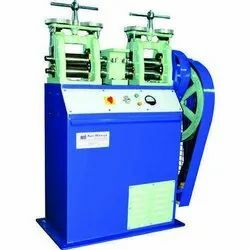 Owing to their long-term functionality and high efficiency, these machines are highly appreciated by the customers.